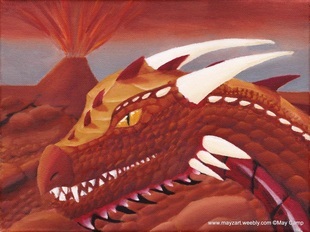 This site is currently in the (slow) process of moving to www.mayzart.com. I also experimented with an additional photography focused site: www.mayzartphotography.weebly.com (but this may be scrapped). Welcome to my personal art website. My name is May Camp. I would call myself an artist, but not just an artist that specializes in one field. I tend to spread out into many forms of art including painting, drawing, photography, animating... I write poems, novels, music, and much more! I made this website to show what I have made: art, digital art, photography, digitally edited photography, poetry, character creation, animations, etc. I will continue to update with my new creations as time progresses. I hope you enjoy my website! If you have any questions, comments, or suggestions on how I can improve my website, please feel free to post them in the guestbook! If you have any feedback, anything you want to improve on the site, any problems you have with it, please check out my new Feedback page!